Dan + Shay (Dan Smyers and Shay Mooney) treated fans to five instant downloads from their new Warner album “Obsessed,” out June 3. The duo announced this morning that fans can stream digitally or receive the songs when they pre-order the album on iTunes, including the single “From the Ground Up,” along with “Already Ready,” “Road Trippin,” “How Not To” and the title track. 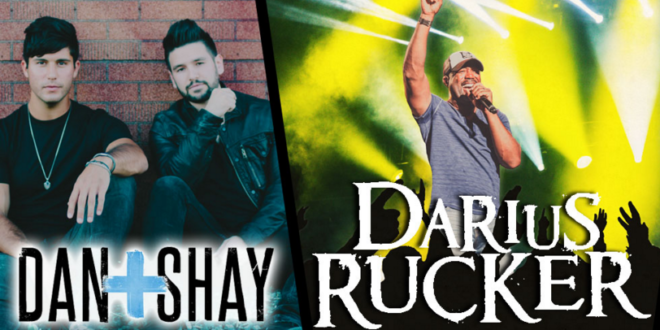 Dan + Shay will also hit the road with Darius Rucker on his Good for a Good Time Tour the same day as the album is released. The duo released companion video for “Road Trippin,” shot this week in Los Angeles. Fans can also check out the first companion video for “Already Ready,” shot and conceived at a Nashville house party and debuted last week as Facebook’s Artist of the Day.